A thigh lift or thighplasty is a wonderful operation that can reshape and beautify the legs and thighs. This is Part Three of the educational writings on this topic. Part One and Part Two provide detailed information on other aspects of this cosmetic procedure. This writing covers thigh lift risks, expectations, and costs. All surgical procedures have risks or complications. Preoperative medical clearance is an essential aspect of this and all cosmetic procedures. Safety is a priority for me with this and all operations. If you are asked to get medical clearance or a stress test, it must be completed as soon as possible. Safety with cosmetic surgery is something everyone wants. But, it also starts before the operation. This includes the timely completion of preoperative medical clearance or tests and also following all preoperative instructions completely. Risks include but are not limited to infection, bleeding, scarring, and blood clots. During your consultation a thorough and complete review of all risks will be done. This educational writing will focus on some of the most common problems that can happen. Infection can happen but is a low risk. All patients are given intravenous preoperative antibiotics to minimize this low risk. The great majority of infections, if they do occur, are more simple and limited and typically are easy to treat. Bleeding can occur after all operations. It rarely is an amount of bleed that is a problem. In rare cases, the blood accumulates and is called a hematoma. In these cases the blood must be surgically drained, if it is too much. Small collections will come out the drain and gradually get absorbed. Large ones might need surgery. Although this sounds scary, it often is easy and extremely successful. In the great majority of cases, the blood is drained and the person heals with no adverse problems. This also means the cosmetic benefit isn’t changed and the thigh lift is still completely successful. The thighplasty results are still the same with rejuvenated legs, despite the postoperative problem. Scarring is something no one wants. The incisions turn into the scars. As reviewed in Part One in the section on “How is it done?, I use multiple techniques to give the best scar possible. This includes gentle tissue handling, meticulous avoidance of bleeding, and the use of multiple suture layers and tiny delicate sutures in the skin. These techniques in my opinion are critical to get the best incision possible. The incision will be thin and pretty. However, it can spread. Scars can get wider and get raised and elevated. This is a risk of this procedure. 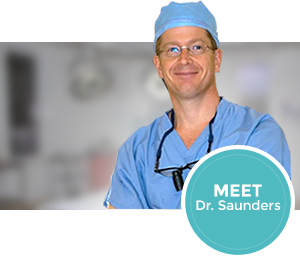 I work closely with my patients on scar care after the operation. I discuss personally options that are available. This includes treatments with lasers, silicone gel sheets, and healing scar oils and creams. Close and personal attention to your incision will maximize the healing and give us the prettiest and thinnest scar possible. This is one of my goals in your thighplasty surgery. 1- Proper position with legs elevated above the heart. 3- Perform the “Invisible Bicycle” when in bed. This means leg exercises to move blood. Expectations are the single most important concept with cosmetic surgery. It is often called “realistic expectations”. It is more important than anything to have realistic expectations about surgery. But really understanding what it means is more difficult than most realize. Everyone understands cosmetic surgery can’t turn a patient into a movie star. It is also well understood that a facelift can’t turn a 75 yo into a 30 yo person. But understanding what your thigh lift or thighplasty will do is critically important. It can make the legs have a wonderful new appearance, that is thinner and more sculpted. Dramatic improvement can occur in removal of loose, excess, and unwanted skin. Most people will love the changes and be happy. However, some people will expect too much from the cosmetic surgery. They might hope for every single wrinkle or stretch mark to be removed. They might also hope that the skin is tighter than can be realistically achieved by surgery. Some people will have unrealistic expectations about what the surgery does. This can lead to disappointment and dissatisfaction. I review realistic expectations in detail with my patients. I believe it is critical for a happy and successful operation. 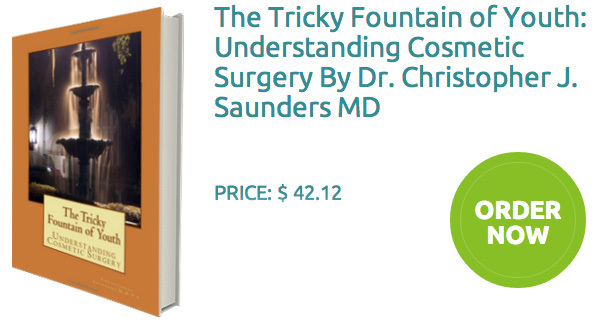 For those with more interest in this topic, please see my second book titled “The Tricky Fountain of Youth: Understanding Cosmetic Surgery.” This is linked here. This book has extensive information on cosmetic surgery. In an easy to read and informative style, the book helps people understand and learn critical concepts in cosmetic surgery. Multiple beautiful before and after pictures are in the book also. Topics include breast augmentation, breast lift, face lift, liposuction, rhinoplasty, tummy tuck, and more. Thigh lift costs vary depending on the specific anatomy of the patient and the particular thigh lift performed. Specific quotes are given during the consultation. The consultation is detailed and complete. Global fees are quoted. This means surgery, anesthesia, and facility fees. There are no hidden expenses. The cost ranges from $4900 – $9900. The range is large because some people are smaller and are desiring a mini thigh lift. Larger individuals with more excess skin and tissue will require a longer operation, and this will be on the more expensive side of the range. writing helps you with your thighplasty cosmetic surgery.